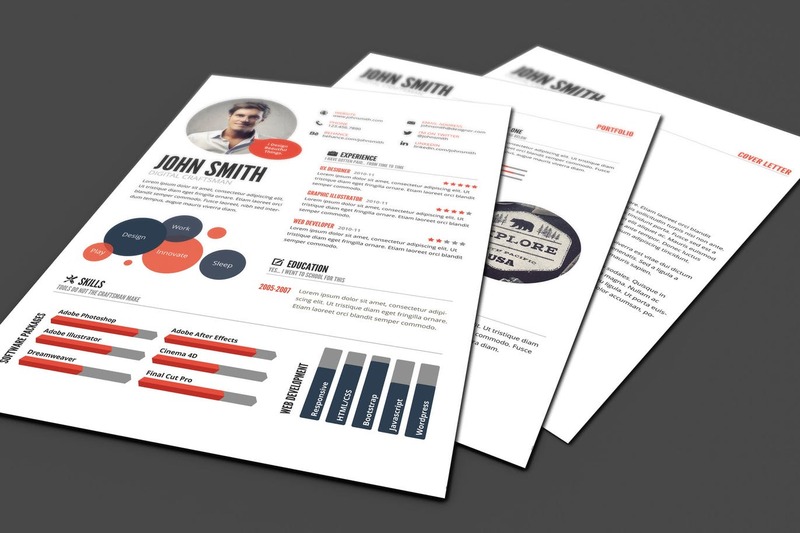 An eye-catching infographic resume template design that delivers your information and key skills in a clean and professional way. The bold, contrasting colour scheme jumps out of the page without it being too over the top. 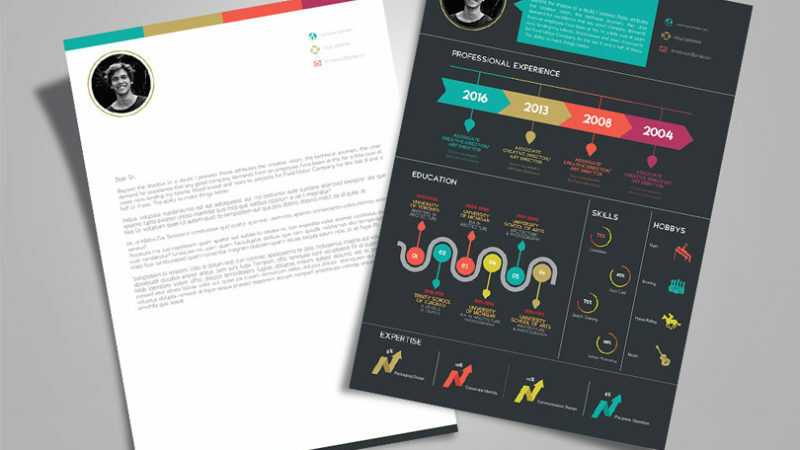 It is easy to read and highlights your main skills in a very engaging way. 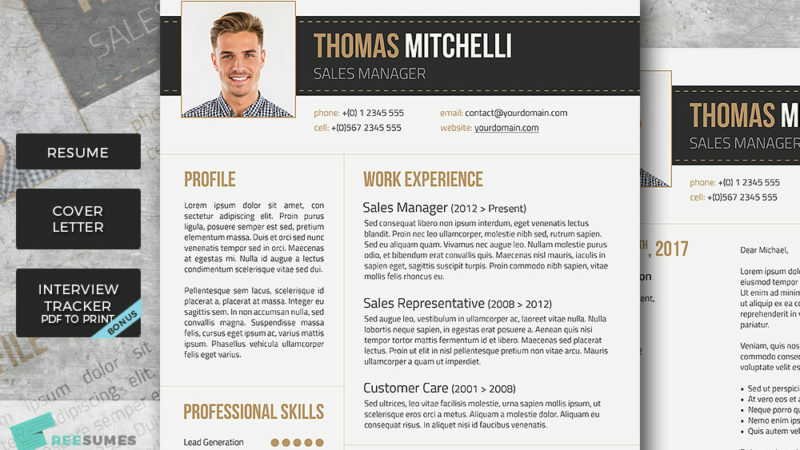 This is an ideal template for someone wanting to show their creative side while at the same time conveying an air of professionalism.